Onam is the major festival of kerala. This is an Harvest festival. Onam is celebrated in the month of Chingam (Sravan Mas in the Saka Era) which generally falls between 17th of Aug and 16th of Sep. 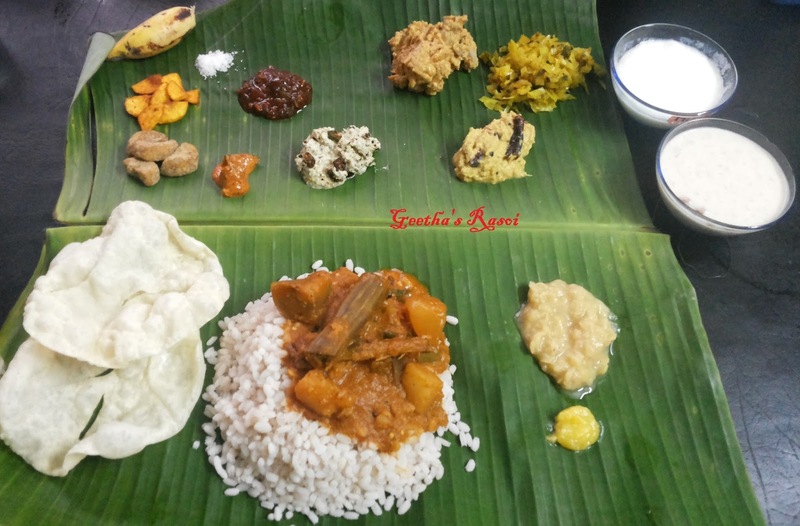 There are lot of stories about the celebration of Onam. Most common story is about the Rakshasa Raja Mahabali, who was very kind and generous and the Gods could not stand his popularity and requested Lord Maha Vishnu, who took the Vaman Avtar and visited the Raja and asked of three feet of land for his Tapas and Mahabali granted the same. Vamana wanted to measure the three feet with his own steps then started growing and measured the Bhoomi and swarga in one foot and with the second foot measured the “pathal”. Then Vamana asked Mahabali that where he should put his third step. Mahabali understood the game played by Gods and knelt before Vamana and asked to put the third step on his head and Vamana by doing so pushed him down to Pathal. At that time Vamana gave a relief to Mahabali that every year he can visit his subjects on the “Thiruonam” day of Chingam which is known and celebrated as Thiruonam or Onam henceforth. 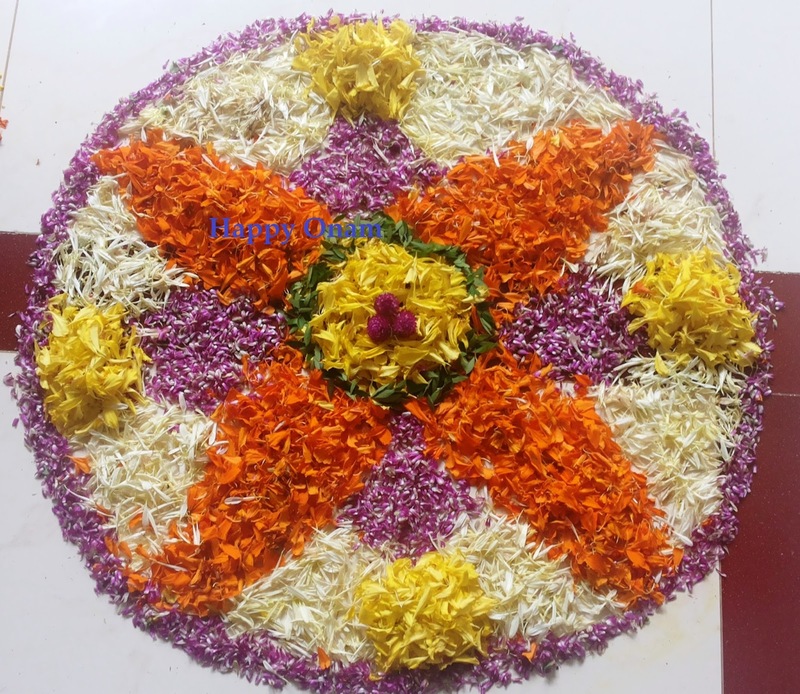 Since then his subjects in kerala prepare floral carpets from Atham day to Thiruonam day for 10 days and prepare very good feast and wear new dress and celebrate.